A new twist on a classic lunch staple! 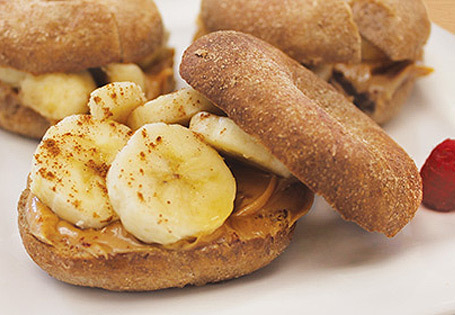 Spread peanut butter on one half of the bagel, top with slices of banana. Drizzle agave nectar over the bananas and sprinkle with cinnamon.